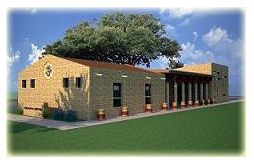 The Ramakrishna Vedanta Society of North Texas was founded in 2006 in Irving, Texas. Spiritual Founder: Swami Swahananda, Former Minister-in-charge of the Vedanta Society of So. California. Spiritual Leadership: Swami Sarvadevananda, Minister-in-charge of the Vedanta Society of So. California. Spiritual Advisor: Swami Ishtananda, Minister of the Vedanta Center of St. Petersburg, Florida. Daily Visiting Hours: during this month's scheduled activities. For evening arati in the Monastery Chapel at 119 W. Scotland Dr. (Mon.- Sat., 6-7 pm), please phone in advance. Interviews: are available to those who seek clarification of questions raised in lectures and classes. There is no charge for these interviews or for spiritual instruction. Appointments with the Resident Minister (Mataji) may be made at the Center. Private Instruction in spiritual practice is available by appointment. Meditation Sessions, Classes, Retreats, and Intensives available at the Center. Yoga classes offered at the Center in the spring and fall. Reading: a large selection of books on Vedanta, including a lending library is at the Center. Recordings: MP3 recordings of the lectures and retreat talks are available at the Center. The heart is a sanctuary at the center of which there is a little space, wherein the Great Spirit dwells....In order to know the center of the heart where the Great Spirit dwells you must be pure and good, and live in the manner that the Great Spirit has taught us. The person who is thus pure contains the universe in the pocket of his heart.